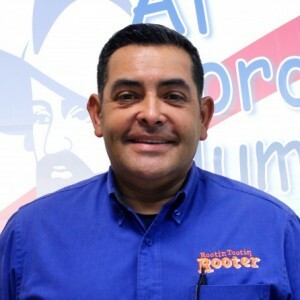 Julian has a 5-Star rating and leads the company in total reviews, making this pro a ReviewBuzz Rockstar! 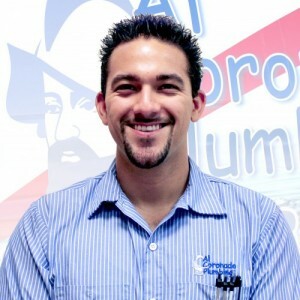 Mr. Julian from Al Coronado Plumbing was excellent. A special thanks to Mr. Al. Job was done and everything was very good. I am very happy. Thank you very much. God Bless you all. 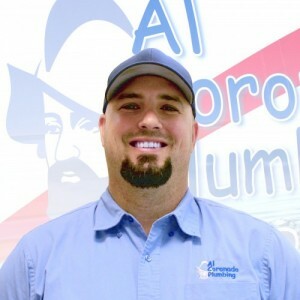 We were extremely happy with the service we received from Julian of Al Coronado Plumbing. Julian was neat and professional, even wore shoe covers and used a rug to catch drips in front of the sink where he was installing our new faucet. We feel we have found our new favorite plumbing company for our future needs. Thanks, Julian for all your hard work cleaning out my water lines. You were professional and respectful. It was a pleasure meeting you. Excellent service from start to finish. Julian was incredibly professional, took his time explaining the fix and answered all questions. Will definitely be calling in the future if any plumbing issues arise. Julian was very honest with what he found. He contacted his office explained the situation regarding our problem and helped us get a good deal to fix the problem. He made it really easy to trust him. I would work with him again if I needed to. Great employee. Julian was superb! He advised us on what work was needed, provided us options, and recommendations, which we really appreciated. He was very punctual and completed his work efficiently and quickly, cleaning up well afterwards. He was extremely pleasant, knowledgeable, and caring, calling us when the needed toilets had to be ordered and service had to be rescheduled. We really appreciate Julian's excellent work, and would love to have him provide services in the future as needed. Thank you, Julian! We had very good service. Julian did a very good job and fixed the problem. We just were not happy about the price. We had a toilet that was not flushing properly because it had something clogging it. He told us the cost before he attempted to unclog it. We agreed to the price because we were just ready to have it done. I had a $25 coupon that at first he said we could not use unless he had to do repairs. He did end up giving us the $25 credit which I was very happy about. It made the $189.00 that he quoted us only $164.00. He was not even here , but maybe 20 minutes at the most. All he had to do was run an auger through the toilet bowl. What is so hard about that? Needless to say we will never call Al Coronado Plumbing again. Julian was very helpful, knowledgable and friendly. Job was compeleted as scheduled with no problems. Very satisfied. Excellent work. Now I don't have to do my dishes in the bathtub. Thank you Julian! Julian went over and above what we expected of him on this job. We will recommend this company and person to everyone that we know . Julian went over and above what we thought he would do.We will recommend this company and person to everyone we know. Awesome service, super nice guy! Very impressed! 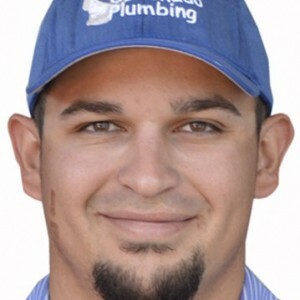 Julian from Coronado Plumbing was an excellent, friendly and professional service pro! 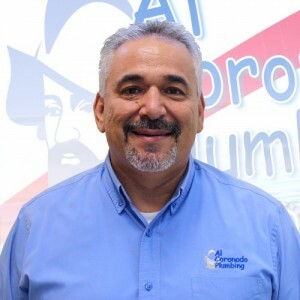 Contacted Al Coronado Plumbing for a master bathroom toilet problem hung up because of no answer-with-in seconds Coral called and asked if called and needed asst. YES scheduled appt. Julian came gave advice gave options-we struck a deal for service. I named some other concerns we addressed those as well. That's how I met Alex Z and Andrew C who not only helped, but saved my home, possibly our lives by smelling a gas leak, that apparently been a threat for quite a while, years. I am now living in my much healthier home so are our pets. All of these folks, went above and beyond, that extra mile to not only solve my plumbing problems, water heater needs, but educated me by answering ALL my questions & concerns for future needs. As if that wasn't enough, they were proficient in their knowledge, the way they took care in my home and were extremely considerate of my pets and me. I am so grateful to Al Coronado for having a team, who loves what they do and show it by all the things I've listed above. These people show honesty, amazing skills, respect and are just good people all the way around. Thank-you Coral, Julian, Alex, and Andrew, if I had kids, I would want them to be like you all. Thank-you from my Husband who is gone most of the time, working, he is so grateful for Andrew's nose finding that gas leak, and saying they would not leave until it was fixed. Thank-you for my much healthier home, I will always count on you for all our plumbing, water needs. Gabriel fixed my two showers in a very timely manner. He worked carefully and did a thorough job. He is a thoughtful person with a nice personality and he really knows his work. 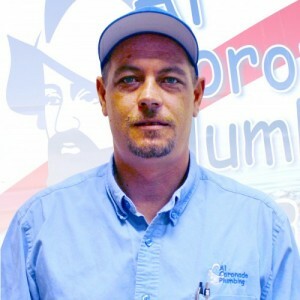 I am very pleased and will always call Al Coronado Plumbing when I need a job done!